The Jonas Brothers rocked last night’s concert with musical legend Stevie Wonder. Watch as rock together in this speechless performance. 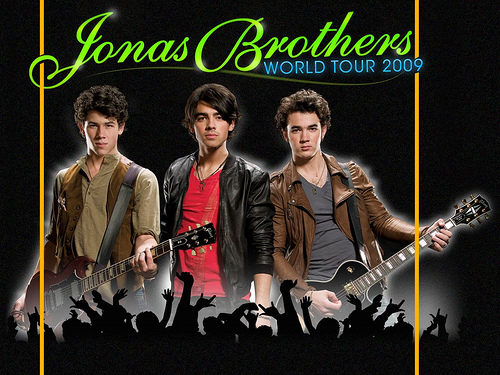 It was a long journey but the Jonas managed the pull through, here are some of the craziest and funniest moments of the 2009 tour. Congratulations Nick, Joe, and Kevin! We can’t wait to have you back in the US. Hey everyone! Just wanted to wish everyone a Happy Thanksgiving. We really hope this is the best day and year of your life. So many good things have happened to us this year. We continue to live our dreams and this is because of all of you.